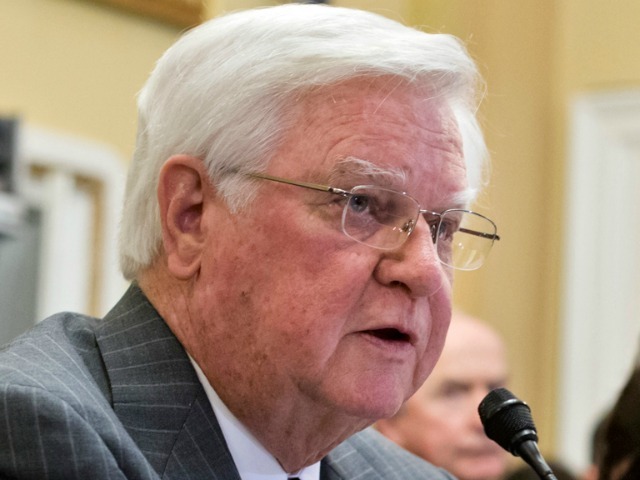 The United Kentucky Tea Party is on a manhunt in Southeastern Kentucky, looking for a primary challenger to powerful House Appropriations Committee chairman Rep. Hal Rogers (R-KY) over Rogers’ support for passing a one-year “omnibus” spending bill ahead of President Obama’s planned executive amnesty. Hofstra said Republicans on the ground in Kentucky are upset with Rogers’ efforts to fund Obama’s planned executive amnesty via an omnibus spending bill. 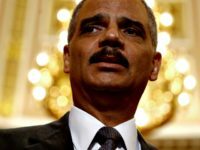 He specifically cited a Breitbart News investigation, published Sunday night, which found that Rogers’ campaign contributor General Dynamics is in the running to print the documents necessary for Obama to implement an executive amnesty—and that the defense contractor expects that if wins the multi-million-dollar government deal it would print the documents at a facility in Rogers’ district. While there currently is no candidate who has emerged to primary Rogers, Hofstra said the statewide grassroots movement has an ongoing manhunt to look for one in Rogers’ district. Hofstra’s group was instrumental in helping Sen. Rand Paul (R-KY) beat incoming Senate Majority Leader Mitch McConnell’s hand-picked candidate for that seat Trey Grayson in the 2010 primary, and was behind efforts to primary McConnell in 2014. While candidate Matt Bevin didn’t beat McConnell—he actually ran into many problems—he put up a heck of a fight. Winning more than 35 percent of the vote against such a long-time incumbent like McConnell—the now-six-term U.S. Senator is an institution in and of himself in Kentucky—is impressive, as was Bevin’s more than 125,000 votes. But in the end, obviously, the resources at McConnell’s disposal were too much for him. The local conservatives plot to try to oust the longtime incumbent—who’s held office for more than 30 years after first getting elected in 1980—comes as Rogers’ plan for a long-term omnibus spending bill are coming apart at the seams. Since before the election, Rogers has been negotiating with congressional leaders including those in the outgoing Senate Democratic majority for a government funding bill that would pay the federal government’s bills through the end of the 2015 fiscal year in September. On Tuesday, Rogers floated a new idea past congressional Republicans that pushes for a long-term full omnibus now—and for Republicans to seek “rescissions” of funding for Obama’s amnesty next year. Rep. Matt Salmon (R-AZ), a key conservative lawmaker involved in strategizing efforts to block funding for Obama’s amnesty and someone who served briefly back in the 1990s and was elected to the House again last term, hadn’t heard of the “rescission” tactic before Rogers brought it up. 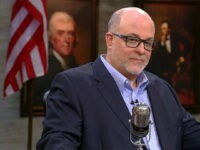 “Chairman Rogers just got up and said if we pass an omnibus and then the president does this executive amnesty, he said we can rescind it, and we can rescind it with 218 and 51 and we don’t need the president. That’s what he just told me. I’ve never heard that before,” Salmon said. A Congressional Research Service (CRS) report on the appropriations process details how Rogers’ plan is unlikely to work. Technically, just like how President Obama can veto a government funding bill, he can also veto an effort to engage is rescissions. “As budget authority providing the funding must be enacted into law, so too a rescission cancelling the budget authority must be enacted into law,” CRS wrote in the report. The CRS report specifically details how Obama can veto any rescissions effort—just like any other appropriations effort—and therefore continue forward with executive amnesty for millions of illegal aliens that would be funded under the omnibus bill that Rogers wants to push through Congress now. House Minority Leader Nancy Pelosi was quick to point that out. “Of course I would object to rescissions, and it looks like it will be vetoed by the president,” Pelosi said on Tuesday, according to Roll Call. Conservatives pushing for Republicans to use the power of the purse to stop Obama’s amnesty in these funding negotiations have also been quick to shoot Rogers’ rescissions logic down. Horowitz compares Rogers’ efforts to push Republicans down this path to the efforts of now former House Majority Leader Eric Cantor to slip amnesty for illegal aliens into the National Defense Authorization Act (NDAA) last year. Cantor was defeated by GOP challenger and now Congressman Dave Brat in his primary while he led the effort to insert legalization for select illegal aliens into the NDAA bill. Brat aggressively campaigned against Cantor’s immigration stance on the campaign trail. “Voters were smart enough to see through Eric Cantor’s attempt to rubber stamp Obama’s amnesty through the defense bill; they will see through Rogers’ ploy with the budget bill,” Horowitz said. It’s still very early in this 2016 process, but if Rogers isn’t careful, he may end up like Cantor if the United Kentucky Tea Party and its grassroots elements in state are successful in finding a competent challenger to Rogers. Hofstra is the first to admit this past cycle wasn’t so great for conservatives in Kentucky, as McConnell led a statewide effort to “crush” challengers like Bevin. But given the demographics of Rogers’ district—despite him being so powerful as the House Appropriations chairman, it’s one of the poorest congressional districts in America according to Roll Call—next time around may work out much better for grassroots conservatives. And if he stays on this path, it might not work out so well for Rogers.